LED module PCB board back will have IC, but these driving IC to the role of the LED display? LED Full-color display of the work, the role of the driving IC is to receive compliance with the provisions of the Protocol display data (from the receiving card or video processor information sources), in the internal production of PWM and current time changes, output and brightness of gray-level refresh and other related PWM current to light led.Drive IC and Logic IC, as well as MOS switch of the surrounding IC, the role of the display of LED display function and determine its rendering effect. The chip itself is not designed specifically for LEDs, but is a logical chip with some logical functions of the LED display (such as String 2 and Shift register). A special chip is a driver chip designed specifically for LED display in accordance with LED light-emitting characteristics. LED is a current characteristic device, that is, under the condition of saturated conduction, its brightness changes with the change of current, instead of adjusting the voltage at both ends. Therefore, one of the biggest features of a dedicated chip is to provide constant current source. 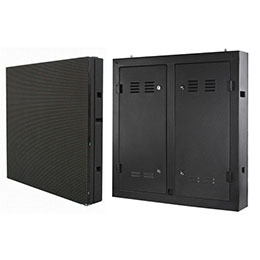 Constant current source can ensure the stability of LED drive, eliminate the flashing of LED, is the LED display high quality picture screen premise. Some special chips also for the requirements of different industries to add some specific functions, such as LED error detection, current gain control and current correction. The last century 90 's, the LED display application to single Two-color mainly uses the constant voltage drive IC. 1997, China appeared the first special LED display driver control chip 9701, from 16 levels of gray scale to 8,192 levels of gray, realize the video WYSIWYG. 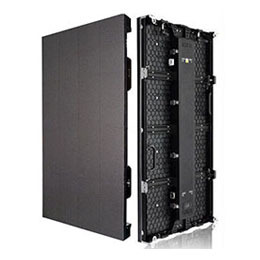 Subsequently, for led light-emitting characteristics, constant current drive to become a full-color LED display driver preferred, at the same time more integrated 16-channel drive instead of 8-channel drive. The late 1990s, Japan Toshiba, the United States Allegro and TI and other companies have launched 16-channel LED constant-current driver chip, in early 21st century, China's Taiwan enterprises of the drive chip also successively volume production and use. Now, in order to solve the small pixel pitch LED display PCB wiring problems, some drivers IC manufacturers have launched a high integrated 48-channel LED constant-current driver chip. Performance index of driving IC: In the performance index of LED display, the refresh rate, gray level and image expressiveness are one of the most important indexes. This requires high consistency of current between IC channels driven by LED display, high speed communication interface rate and constant current response speed. In the past, the refresh rate, gray scale and utilization of the three aspects is a relationship, to ensure that one or two of the indicators can be more excellent, it is necessary to sacrifice the remaining two indicators. To this end, many LED display in the actual application is difficult to both the same, or is not enough to refresh, high-speed camera equipment under the easy appearance of black lines, or gray is not enough, the brightness of the color is inconsistent. With the development of the technology of driving IC manufacturer, there has been a breakthrough in three high problems, which has been able to solve these problems. In the application of LED Full-color display screen, in order to ensure users ' long time use of eye comfort, low brightness high ash has become a test driver IC performance of a particularly important standard. As green energy, energy-saving is the eternal pursuit of LED display, but also consider driving IC performance is an important standard. Drive IC Energy saving mainly includes two aspects, one is to effectively reduce the constant current inflection point voltage, and then reduce the traditional 5V power supply to 3.8V below operation; The second is to reduce the operating voltage and operating current of the driving IC by optimizing IC algorithm and design. There are already manufacturers have launched a 0.2V low transition voltage, up to more than 15% of the LED utilization of the constant-current drive IC, the use of less than conventional products, 16% lower power supply voltage to reduce calorific value, so that led display energy efficiency greatly improved. With the rapid decrease of the pixel spacing of the LED display, the packaging devices to be mounted on the unit area increase in geometric multiples, which greatly increase the component density of the module driver surface. 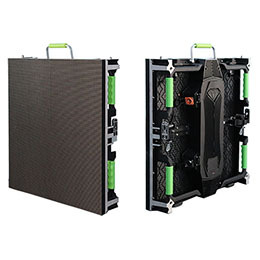 Take the P1.9 small pixel pitch led screen for example, the 15 sweep 160*90 module needs 180 constant current drive ic,45 row tube, 2 138. So many devices, so that PCB available wiring space becomes extremely crowded, increasing the difficulty of the circuit design. At the same time, such a crowded arrangement of components, very easy to cause problems such as poor welding, but also reduce the reliability of the module.Drive IC less dosage, PCB larger wiring area, from the application end of the demand driven IC must embark on a high integration of technical routes. Our p1.9 small pixel pitch LED display, is in the case of so many devices to improve, in ensuring P1.9 reliability and stability of the case, the use of high integration of 48-channel LED constant current driver IC, the large-scale peripheral circuit integrated into the drive IC crystal element, reduce the application of PCB circuit board design complexity, the 180 constant current flooding The moving IC is reduced by nearly 3 times times and becomes 48 constant current driver IC. The 45-sweep 152*171mm module requires only 48 constant current drive ic,30, 16 rows, and 2 245 signals. And after the research and development of the test, found that the effect than the previous 180 constant current drive IC effect is better, but also played a role in energy conservation.